Christmas seems to come at warp speed. Christmas is here and gone and you may be saying, “that’s it, it’s over”! I encourage you to stop each week this December and Celebrate Advent to prepare your heart and mind for the true meaning of Christmas. Christ is the center of Christmas and my heart is full. 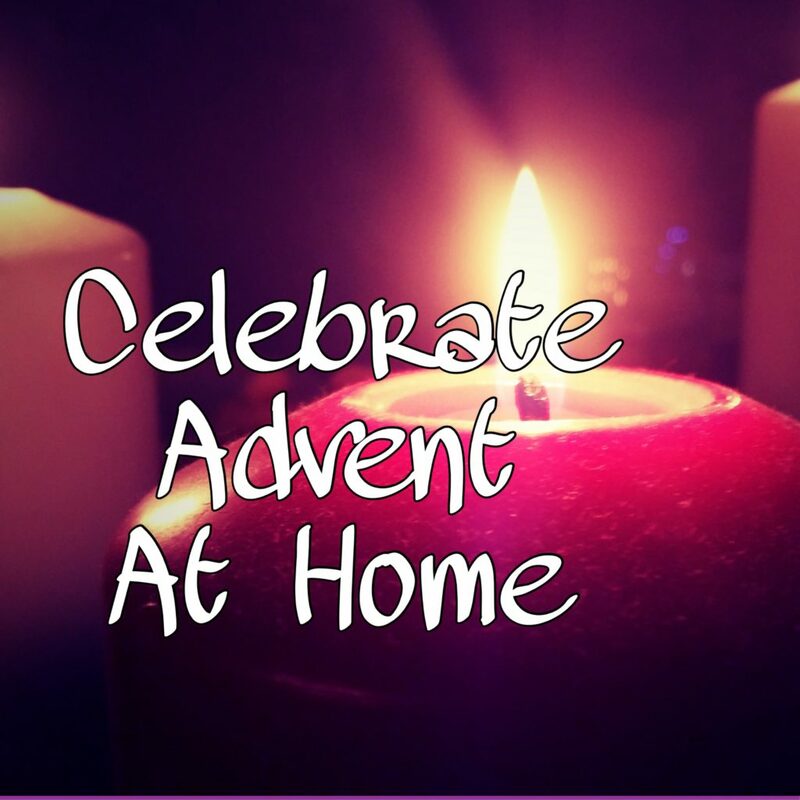 Let’s learn how to Celebrate Christ this December with Advent at home. As a teenager I was at my aunt an uncle’s home around Christmas and noticed a circle of candles that were purple and pink with evergreen branches around them. I thought, why purple and pink and not red and green? I asked and discovered my relatives celebrated Advent each week as a family the month of December. This picture of Christmas went into my memory bank. Thanks Bruce and Hulda! When I was older I decided my family would start this tradition of celebrating Advent at home too. We have been celebrating Advent since my oldest was 9 months old. Advent is the preparation for Christmas. 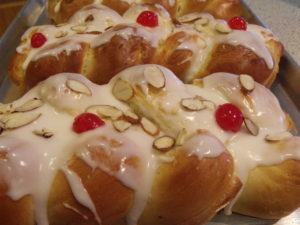 It begins four Sundays before Christmas. Since Christmas is not always the same day of the week, the starting date may be in November or December. Just count back on the Calendar. If you don’t get the date perfect like I did one year, it’s okay. 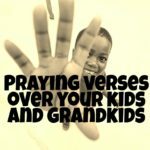 No one will know or your kids will straighten you out. This year Advent Sundays are the 2nd, 9th, 16th, 23rd of December. In the past Advent was a time of fasting and penance and public amusements were forbidden. Now Advent Season is a time of preparation. I like to think of it as preparing my heart for Christmas. When Christmas is over, the gifts have been opened, and the meals have been eaten, I still have that joy in my heart for time I spent with Jesus and remembered with scripture the time He was born. Light a new candle each week, read the scripture and sing to retell Christ’s birth to your family. 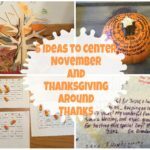 When the kids were little I added a craft or story to make it fun. You can also read a daily Advent book out loud to your kids which I will share at the end. 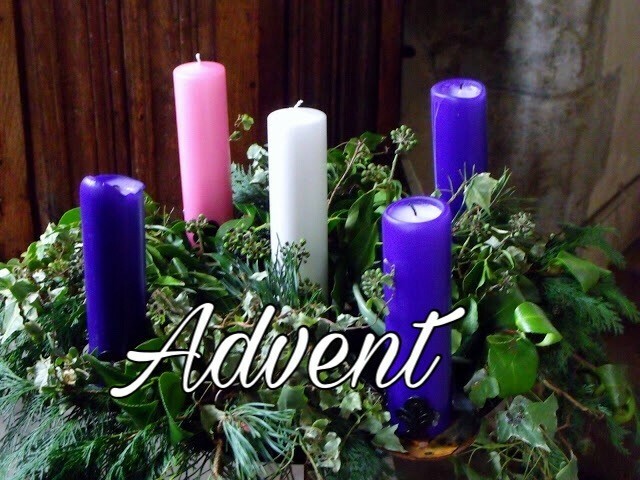 Circle of the advent wreath represents Gods care and love with no beginning and end. 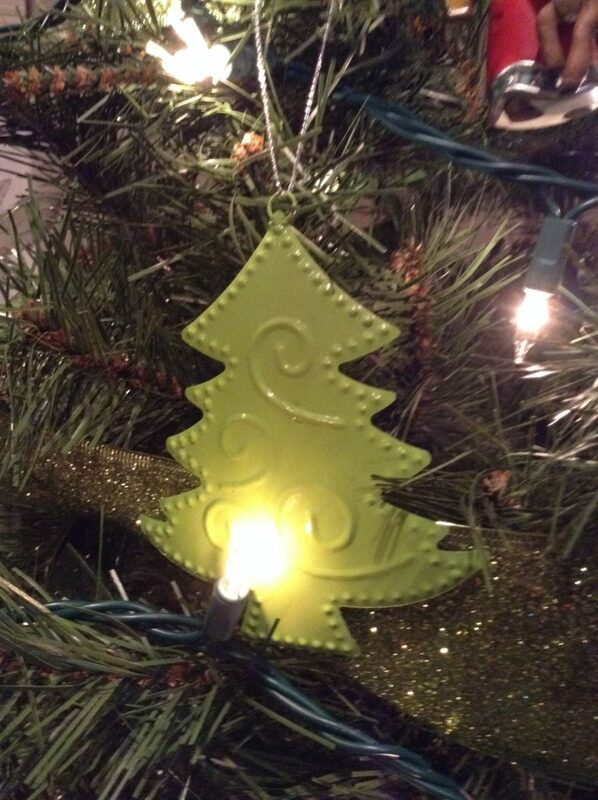 Evergreen symbolizes the hope Christ brought to the world. The pink candle represents joy/celebration that Christ is born. The white candle represents Christ, the color of purity. I’ll have to admit, if you get the candle colors mixed up each week, it’s okay. For many years my kids insisted the pink candle be lit on the 4th Sunday because it reminded them more of the angels than the purple candle. This happens when your two oldest kids are girls. 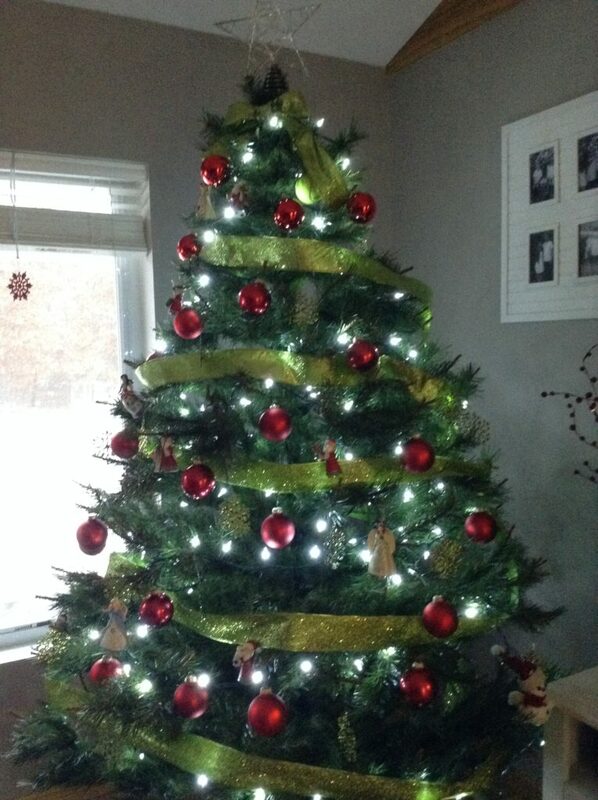 On this night talk about the Christmas tree: Explain the symbolism of the Christmas tree. The tree is evergreen: Green is the eternal color a symbol of eternity and our everlasting life in Christ. It points to God- the shape of the Christmas tree draws our eyes to heaven and reminds us that every good and perfect gift comes down from the father. The star is pre-eminent- the uppermost decorating on the Christmas tree. It is a symbol of the miraculous light that led the wise men to Jesus. Lights encircle the Tree- As Christians we are to be shinning the light of Jesus encircling the world. Gifts adorn the base- all the gifts under the tree remind us of Christ sacrificial gift of forgiveness and eternal life to all who receive Him as Savior and Lord. Craft: make a paper tree and decorate, or make tree cards for people. Sing: Oh little town of Bethlehem. 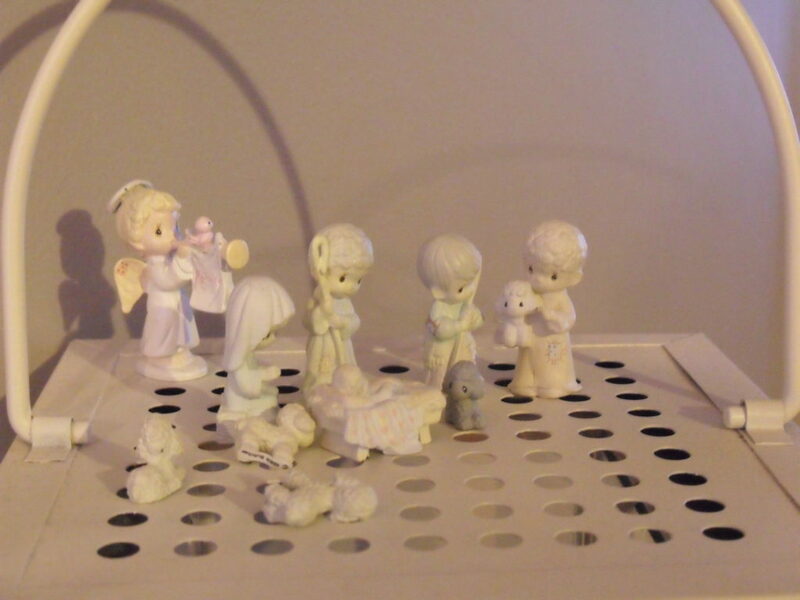 Craft: make a paper nativity scene in a shoe box. Light the Pink candle. Remember the Joy the shepherds felt as they journeyed to see the promised King. Let’s share the peace and joy he brought into the world with others. Read Isaiah 52:7 and Luke 2:8-20: This tells of the shepherds who learned of Christ’s birth. Light the purple candle. Peace on earth. Tonight all the pieces of the prophetic puzzle fit together to announce the King. We see the Star and the Angles. We see the love and obedience of Mary and Joseph. Our hearts seek and find a child in a manger. In this rosy glow of the fourth candle we see the miracle of Bethlehem. There is beauty in a quiet night. There is a mother’s smile. Adoration of the shepherds and a million angles singing Christ the Savior is born. Read Luke 2:10-20 and Matthew 2:13-23 This tells of the Wiseman. Sing: Silent Night and Angles we have heard on high. Craft: Make an angel food cake with sprinkles and a star craft while the cake is baking. Light the white candle. God kept his promise unto us a Savior is born. White represents that Christ is the light of the world. White is for Purity. Sing: Favorite Christmas songs. Craft: Have a birthday cake for Jesus. He is born. Remember to blow out your advent candles each night and light the candles in order from previous weeks. Share your favorite Christmas memory. 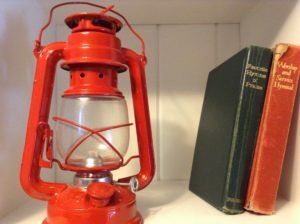 Read from a daily advent story that ends at Christmas. My kids loved these books and I read them to them every night. 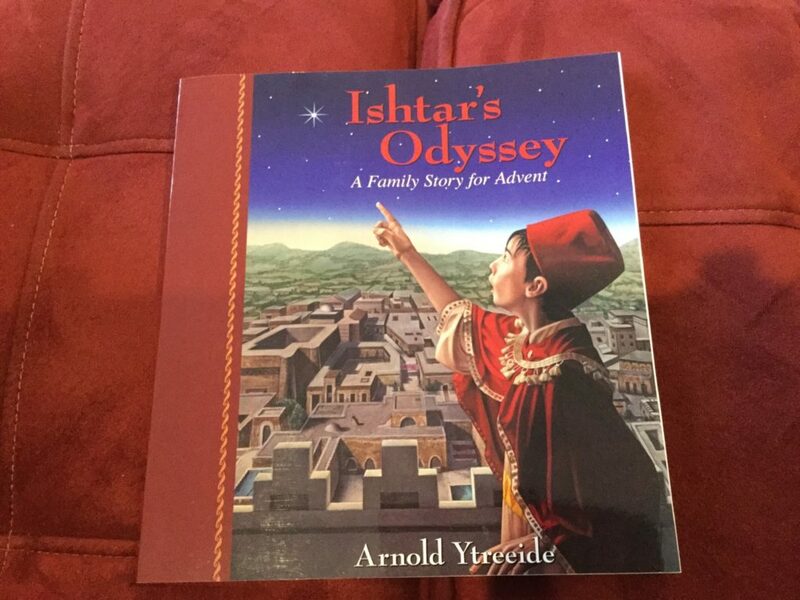 The first book in the series is called Tabitha’s Travels by Arnold Ytreeide. Read this every night of advent. The story leaves you on a cliffhanger. Author, Arnold Ytreeide added books to the series. There are four of them to choose from. Here is the link for more information. 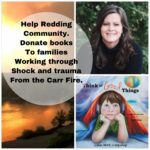 link to purchase or see books. The picture shown is the last book in the series. 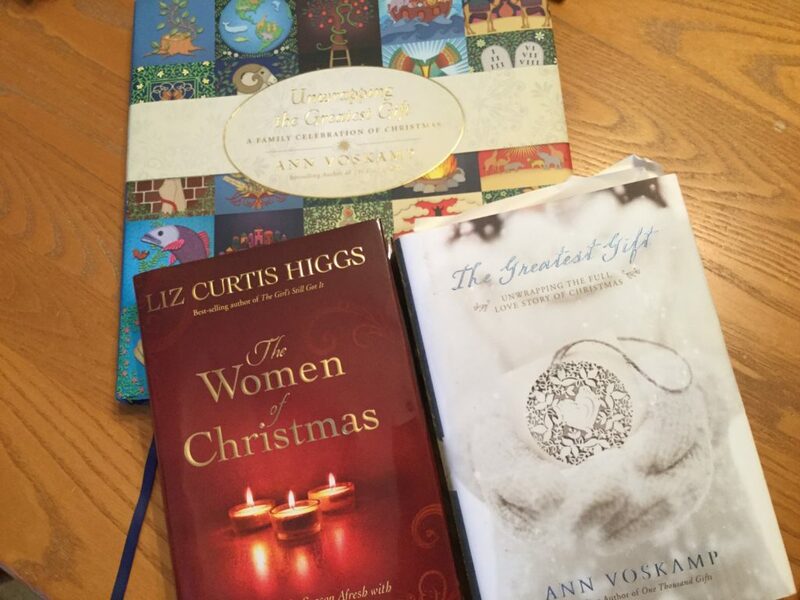 As an adult you can read parts of books or advent devotionals each day. See picture below for book ideas. These are a great way to mark the days before Christmas. Excitement! Pull a verse out of our calendar and read it or enjoy a treat tucked away in the calendar. 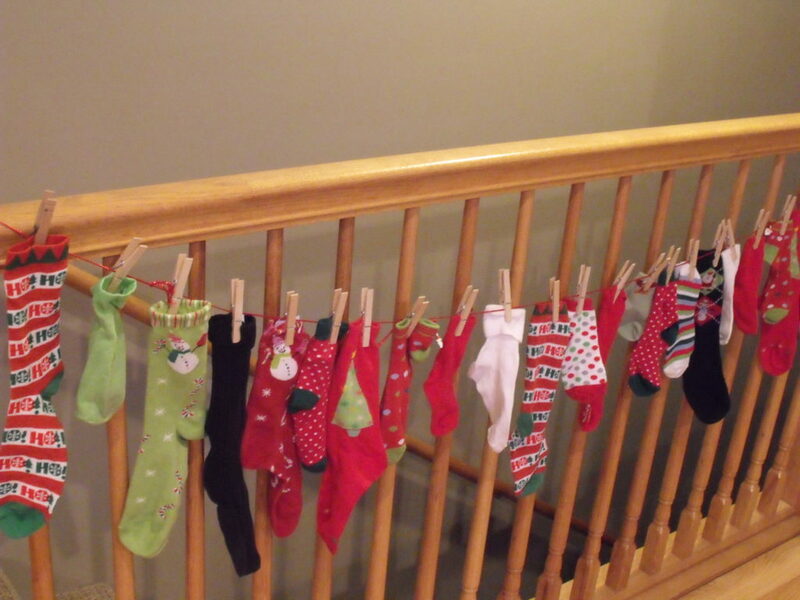 We didn’t have a fire place for many years so I purchased 24 socks In Christmas colors and tied and clothes pinned them to our stair railing. 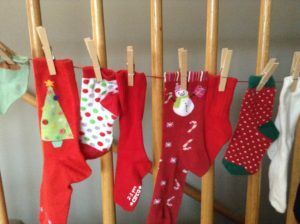 Each day in December the kids would open a sock together with a verse to read and a note with an activity we would do together or simply a gift or treat if it was going to be a hectic day. If you forget to do the activity the kids will remind you. 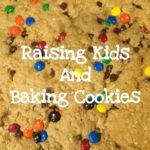 If the weather is not cooperating, then replace the activity with a little gift or treat. 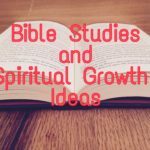 Here are some ideas I used in the past. I planned the activities based on our calendar and what we were doing anyway. Plan for four Sundays of advent in your socks. The example is from a past year. 4. 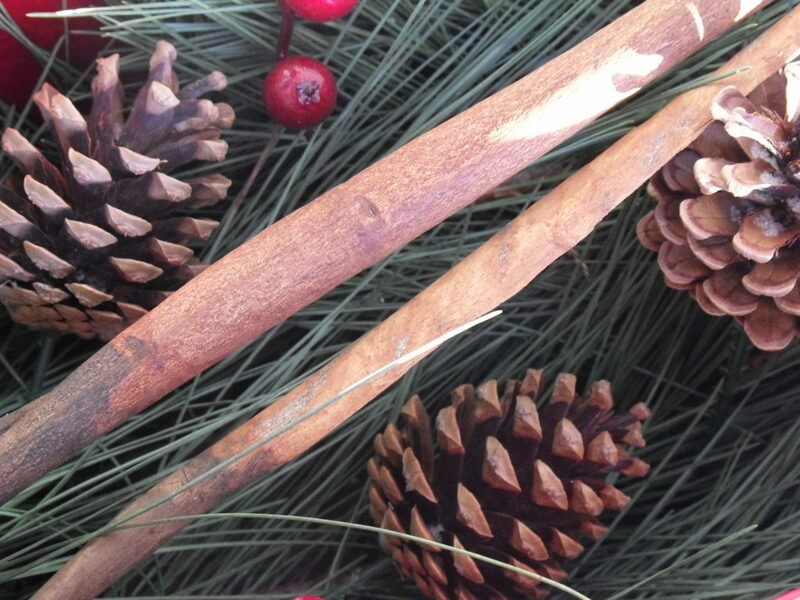 Read Legend of the candy cane and hot cocoa with candy canes. Christmas is only here one day, but if Christ is your savior then you have a relationship with Christ every day of the year. Take time to worship and adore Christ this coming Advent Season. What a wonder! I am honored your Advent started from ours so many years ago. We are still celebrating Advent these many years later… And He is still so very worthy of our adoration. 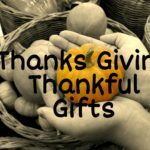 Praise God and thanks again for sharing your wonderful blog. Merry Christmas and God’s Peace to you and your family! You never know who you influence in life. So glad I asked about advent many years ago. 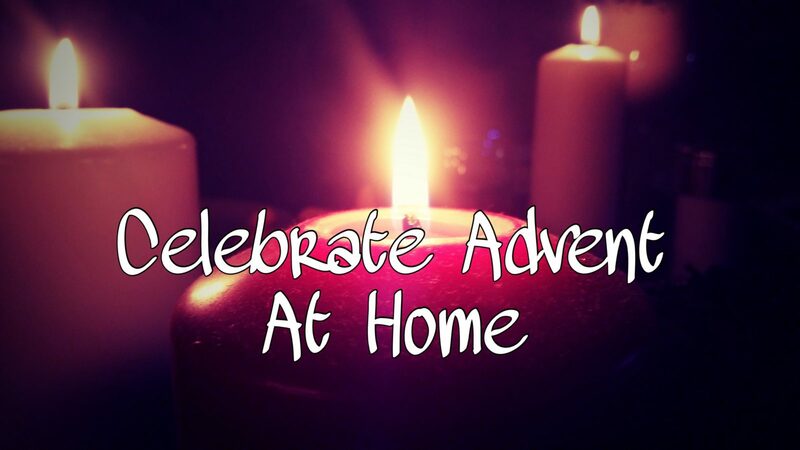 Have a great month celebrating Advent! We got a book from “Our Daily Bread” with a devotional for each day of Advent this year. Get some advent candles and you can celebrate every week too. I love knowing this and your ideas. I’ve never done this before. You will love doing this! Anticipation for Christmas!